Once a road, always a road. That’s the gist of a recent paper that studied 14 different municipalities in the Groane region of Italy near Milan. In cataloging 174 years of road construction, the study’s authors discovered that nearly 90 percent of the regions 100 most vital routes today were already present in 1833. The researchers also uncovered evidence that the layout and characteristics of road networks are indicative of the age in which they were built. This is nothing new. Take a look at any metro region surrounded by a postwar subdivision—stick straight roads of the late 19th and early 20th centuries give way to ever more writhing tangles of spaghetti. What’s new is that this study claims that top-down planning didn’t drive the changes. Rather, the researchers say Groane’s roads reflect broader societal changes, that the unique circumstances of each era—agricultural through modern—shape road networks more than central planning—or lack thereof. To arrive at that conclusion, physicist Marc Barthélemy and his colleagues digitized roads using maps and aerial photographs from seven different dates between 1833 to 2007. They threw the resultant vectors into a geographic information system, or GIS, and then distilled primal graphs—simplified maps that show only roads (called “links” in graph theory) and intersections (“nodes”). 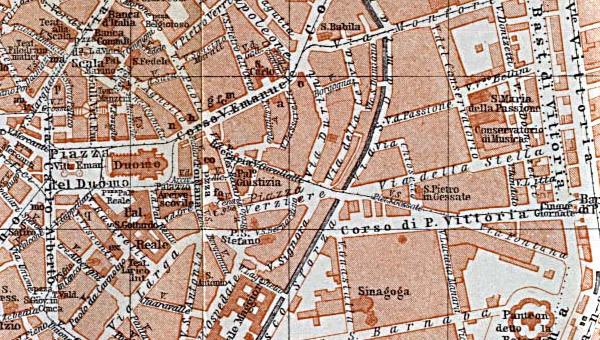 Between 1833 and 2007, the number of intersections grew proportionately with population. The number of intersections skyrocketed—there were only 255 in 1833 but over 5,000 in 2007—but the number of connections remained relatively constant at 2.7 on average. The number of roads also increased linearly with the number of intersections. It’s almost as if the expansion of Groane’s social network was mirrored in its transportation corridors. It is because of Groane’s lack of central planning that Barthélemy and his colleagues are able to draw their conclusion, that road networks morphed not because of changes in our approach to planning but because of changes in society as a whole. In essence, they assert that changes to the network were not consciously done. It’s not surprising, really. Roads are built to handle the traffic of their time. When navigating Cambridge’s labyrinthine streets, I’m constantly reminded that they were built for horse and carriage, not a horseless carriage. The demands of the automobile are sufficiently different from horse or foot traffic. Their greater speeds require straighter rights-of-way. Intersections need to be clear and predictable. Navigation also needs to be simplified—drivers moving at 10 miles per hour have more time to look for their next turn than those moving three times faster. The grid tackles these problems with aplomb. Road networks are a product of the processes that created them, whether that be wagon traffic from farm fields plodding to town or taxi cabs streaming out from downtown. Discerning process from pattern is also the domain of another field—landscape ecology. Landscape ecologists sweat the details of spatial configuration to learn what ecological processes are at work. The laws of landscape ecology apply just as well in the city as they do in the natural world. The city is nothing but an anthropogenic ecosystem. Ever since Geoffrey West and his colleagues uncovered the mathematics behind why big cities are economically successfully—but also crime ridden—it has been popular to search for formulae that describe urban processes and city development. This paper by Barthélemy and his colleagues is but the latest addition to a growing literature. By themselves, these discoveries are clever and insightful. But the interesting stuff will happen when urban planning completes the transition from an observation-based science to a mathematical one, much as ecology did in the recent past. Then we’ll have a real sense of how these models will change our understanding of cities. Map scanned by University of Texas PCL Map Collection.